Found quite a few fungi last Saturday. Could have spent 12 hours messing about, but I think we need a few days of rain to really bring them out, without any severe frosts. I had a good walk around the lower slopes, including Myrtle Gully, where there are always a good range of fungi types. The mountain itself was seemingly covered in frost, maybe snow at higher levels. There were solidly frozen puddles at The Springs carpark anyway. See the Photos on Picasa. I've been using the Nikon DSLR (D90) to take fungi photos. The depth of field is even more difficult than with the old Panasonic (DMC-FZ50). In addition, the Panasonic had a flip-out screen, and in fact the Panasonic's fixed lens was easier to manually focus than the cheap kit lenses I have on the Nikon. Nevertheless, some of the photos came out quite well. I have a mirror for focusing on the LCD screen from above. The D90, unlike earlier DSLRs has Live-View (LV). This means the mirror will flip up and allow the sensor to read the light in real time like a P&S camera. For this sort of photography, this is invaluable, despite some semi-amateur eejits on forums deriding the LV feature. The flip-out screen will also come to be seen as very useful, at least for some applications. Many of the photos were taken using the camera mounted upside-down on my big Manfrotto tripod. This was much easier than trying to balance the camera on bags and things at ground level, and then point it in the right direction. Having it upside down made for an interesting logic puzzle though, especially when using buttons and dials on the front of the camera - which way do I dial the wheel? Fascinating fungi. I love these things. Excellent photos, Mark. What camera are you using? Thanks John. It's a Nikon D90. I previously used a Panasonic Superzoom, FZ50, which gave better depth of field, but noisier pictures. I also found a website the other day with fungi photos taken using lots of photos taken focused at different points which are then pieced together in software to give a photo which is sharp from front to back. Just can't manage that with many single shots, depending on the shape and size. Anyway, they came out OK. Cheers. Mark, does the Ryvardenia Cretacea grow in Tasmania or any other tinder fungi? Hi Le Loup, the short answer is apparently Yes. I haven't photographed one, nor in fact positively identified one. 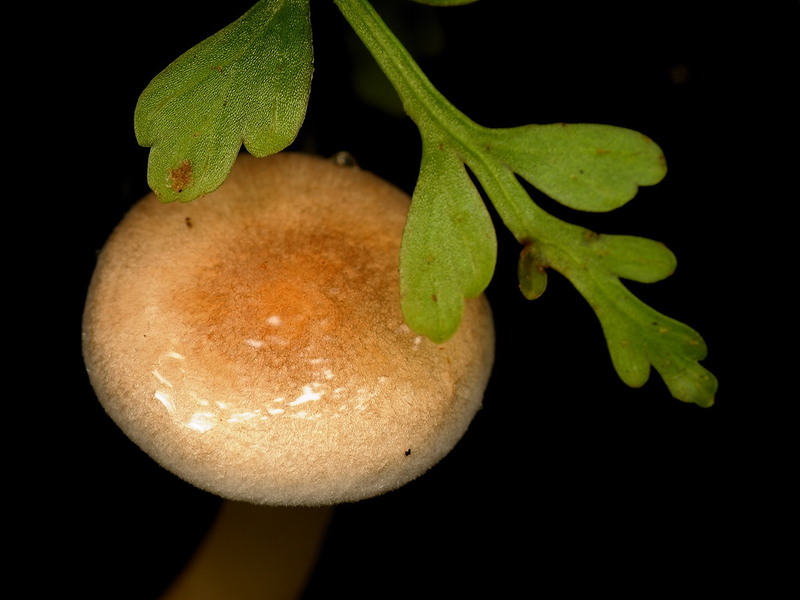 However, a document I have here "A preliminary census of the macrofungi of Mt Wellington, Tasmania – the non-gilled Basidiomycota" clearly notes Ryvardenia cretacea as a species found on the mountain. The University has a lot of papers and surveys at this link. There's a photo in A field guide to Australian Fungi (Bruce Fuhrer, 2005) at page 273, and I am confident I have seen these. It notes they grow on Myrtle Beech (Nothofagus cunninghamii) and Mountain Ash (Eucalyptus regnans) in particular.